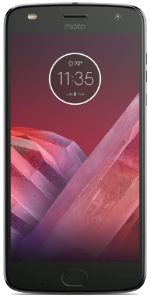 The Moto Z2 Play is a rugged 4G LTE smartphone that comes with a 5.5-inch Super AMOLED display panel with a 1080x1920 resolution and 401ppi. Powering the device from within is a 2.2 GHz Octa-Core Qualcomm Snapdragon 626 processor with an option to choose the 3GB RAM/32GB internal memory or 4GB RAM/64GB internal memory. The memory can still be expanded by to 256GB through the use of a microSD card. Camera-wise, the phone is equipped with a 12-megapixel Dual LED flash camera on the back with 4K video recording. In front, there is a 5-megapixel camera for selfies and video calls. 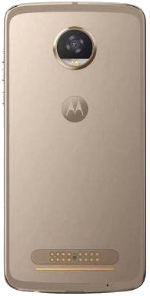 The device includes a non-removable 3,000 mAh Li-Ion battery on the back, a fingerprint scanner, and NFC. Upon release, the phone runs on Android 7.1.1 Nougat OS. It is available in three colors called Nimbus Blue, Lunar Gray, and Fine Gold. Moto Z2 Play First Look: Is It Better Than the Moto Z2 Force? 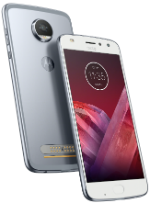 Does the Moto Z2 Play offer more bang for your buck than the Moto Z2 Force?